Unlimited nationwide calling has never been so affordable. Choice Wireless offers a home phone package that includes unlimited calling, caller ID, 3-way calling and call forwarding for only $20/month. Stop overpaying for your home phone and get into a Choice plan today. 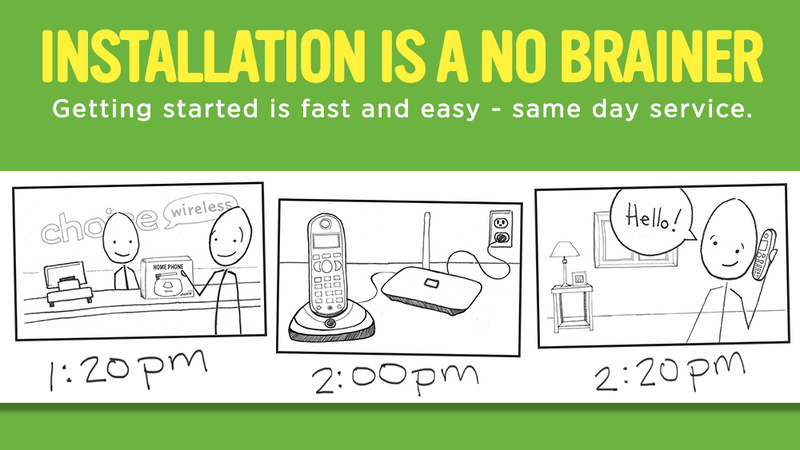 Get a FREE Home Phone Device when you Sign up for Choice Broadband. Get Unlimited Calling with Nationwide long distance included!